WO Designs is a full-scale interior design firm providing design services for both residential and commercial interiors. We are passionate about bringing life to old spaces, creating timeless environments that enrich our clients lives, and being thoughtful about the environment in our material choices. With a combined 22 years of experience, Edna Wang, CID, LEED AP and Kate O'Rourke, CID established the company in 2014. Edna and Kate met while working at a fast-paced San Francisco architecture firm in 2009. After many late deadline nights, they quickly became friends with an obvious shared passion for interior design (and the usual coffee fix). As design partners we are able to tap into each other's strengths with the goal of providing our clients the most comprehensive services. Whether we are remodeling an entire house from the slab up or assisting a client with custom furniture pieces, our goal is to understand our client's desires and ensure those needs are met entirely. Diamond Certified Interior Designer 2nd Consecutive Year in a Row! Visit Our Showroom! Monday - Friday: 10am - 4pm, Saturday: By Appointment Only Are you looking for great interior design ideas or furnishings? Your search is over. Welcome to J. Hettinger Interiors. Interior Design services tailored to your needs: From figuring out the most intricate décor details to an elaborate design for your entire space, our experienced interior designers will shape their services to fit your project. Whether it's new construction of an entire house, existing spaces, remodels, or sustainable design projects, we can do it all. Interior Design solutions for every environment: Our thirty-five years of design expertise extends from modern and traditional home design to commercial and corporate interior design for the office, and our resources are unmatched. With a library of hundreds of vendors and long-standing relationships with quality subcontractors, you can be confident that we have what you are looking for. “Bend over backward” white glove service: The design process is not complete until every piece is just right. With a professional delivery team, J. Hettinger Interiors is able to provide that level of attention to the very last detail. Quality and experience you can trust: At J. Hettinger Interiors, our philosophy is to “succeed with excellence” with every client. We are a dealer of top quality furniture companies like Century Furniture, RC Furniture, Marge Carson, Henredon, Hickory Chair, Swaim, Bernhardt, plus over 400 more. We invite you to our amazing showroom to set up a design consultation with one of our talented designers. You can also preview our signature design furniture line, JH Studio, as well as the many other beautiful pieces available from the hundreds of vendors with whom we work directly. We showcase a variety of styles from contemporary to traditional in our upholstery, casegoods, accessories and art, all ready to take home from our showroom and make a statement in your own space. We are constantly updating our showroom with the newest trends, so come see what’s new at J. Hettinger! We combine a blend of modern and classic to our projects, with the goal of giving our clients a fresh new space that reflects their personality, lifestyle and home's architectural roots. Designer Karen Nepacena's design philosophy centers around creating a functional, pleasing space, that reflects each client’s individualism. With each project, she translates client needs into a clear transformation plan. Karen’s experience living abroad and studying Interior Design in Italy greatly influences her work and aesthetic, whether designing for mid-century modern homes, California Ranch homes, Spanish style bungalows or warehouse lofts. 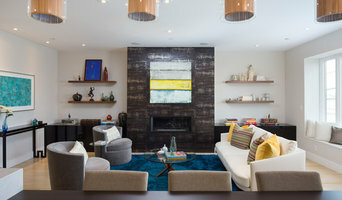 Their work and projects have been featured by Dwell, Atomic Ranch Magazine, Houzz.com and numerous design blogs such as Apartment Therapy, Design*Sponge, kitchn, and DesignMilk. Both Concord, CA interior professionals are closely related and often mistaken for the same thing, however, there are some significant differences you should be aware of before hiring. An interior designer, also known as an interiors architect, will not only hone your style down to its very essence but will be able to choose a functional layout. 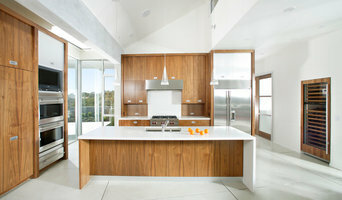 All Concord, CA interiors designers require specific schooling and formal training. They use their specialised knowledge of interior architecture, building regulations, materials, and furnishings to help you arrive at your dream home design. Interior design companies can come on board during the early stages of construction to plan spaces and room functions down to the last detail, and can help design and renovate interiors and decorate. On the other hand, an interior decorator will typically be involved with the “look and feel” of a space, and won’t be able to assist in renovations that require structural work. Interior decorators in Concord, CA normally come on board after all structural work is complete. Why should I hire an interior designer or decorator in Concord, CA? Everybody wants to a home that reflects their personality, though some of us are just too preoccupied with a career and/or family to think about colour schemes, wallpaper, flooring, and lighting. A Concord, CA professional interior designer can save you bags of time, stress and months. Residential interior designers and decorators in Concord, CA understand the latest trends, have a good sense of layout and functionality. They can also save you money by sourcing products via trade contacts or offer affordable alternatives to blowout iconic designs. How do I choose the right interior designer in Concord, CA for my home? Every Indian home is unique in its style and can be an inspiration to define your own style. 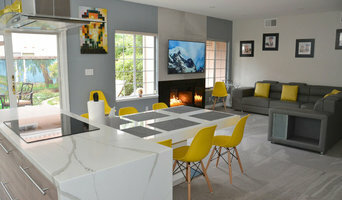 You start by looking at images and work of different interior designers and decorators in Concord, CA. Save the pictures and details of the professionals who match your taste.There are plenty of interior design companies and interior designers who can help you turn your living room into mix-and-match lounge oozing an eclectic style, or turn a pale and interesting minimalist bedroom with shots of colour, or a beautiful space inspired by Scandinavian design. Pick an interior designer in Concord, CA who has completed work similar to the look and feel that you desire. Be sure to discuss your needs, ideas, constraints, and budget early on. Some interior companies are design only, while others can oversee the whole project. If it is the latter that you seek, make sure all subcontractors used are well experienced and accredited. What are some of the important questions to ask Concord, CA interior designers or interior decorators? Find an interior designer or home decorator on Houzz. 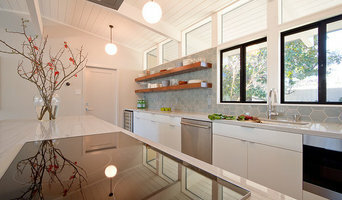 Narrow your search in the Find Pros section to find Concord, CA interior designers & decorators. You can also look through photos to find a room you like, then contact the interior design firm who designed it.